Spring is a glorious time to be alive. The coldness of winter has gone, and the heat of summer hasn’t yet arrived. It’s a good time to visit historic cities and districts that have both charm and walkability. As you stroll around a historic area, especially if there is a river nearby, it’s easy to (at least temporarily) forget about today’s hectic fast track way of life. 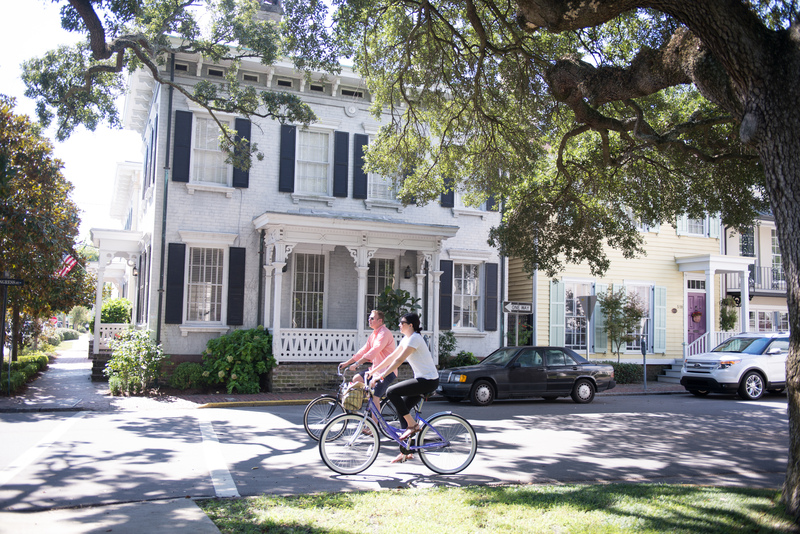 In this month’s Car Free Journey column, we will visit one of these delightful cities: Savannah, GA, and spend most of our time exploring the Historic Savannah district. Forsyth Fountain, courtesy of Visit Savannah. Couples, young and old, can experience the romance of coastal Georgia along oak-lined avenues, while history buffs will feel right at home in the state’s oldest city. Stroll along the Savannah River in the city’s Historic District. The period architecture houses, the Spanish moss hanging over much of the city, and the city’s 22 historic squares that are still used today as mini-parks contrast with trendy boutiques and eateries. Whether it’s a stroll around Savannah’s Historic District, enjoying the fountain at the city’s Forsyth Park, or enjoying one of the city’s many festivals and special events, a visit to Savannah is an experience you will treasure for a long time. Chatham Area Transit’s (CAT) 100X Airport Express travels between the airport and downtown Savannah every hour. The one way fare is $5. Round trip is $8.00. For details, go to http://catchacat.org/_meta/downloads/schedules/route_100x.pdf. CAT’s Route 29 connects with Amtrak’s Silver Meteor (but not the Silver Star). Buses leave the Amtrak station (2611 Seaboard Coastline Drive) daily at 6:50 a.m., 7:30 a.m., 6:30 p.m., 7:30 p.m., and 9:30 p.m. This bus travels directly to CAT’s Intermodal Transit Center which is about two blocks from Broughton Street (the city’s main shopping street). CAT’s Intermodal Transit Center, the main hub for all fixed bus routes, is also the connection point for all Greyhound bus trips. The Greyhound bus station is home to both Greyhound and Southeastern Stages (the local Trailways operator). 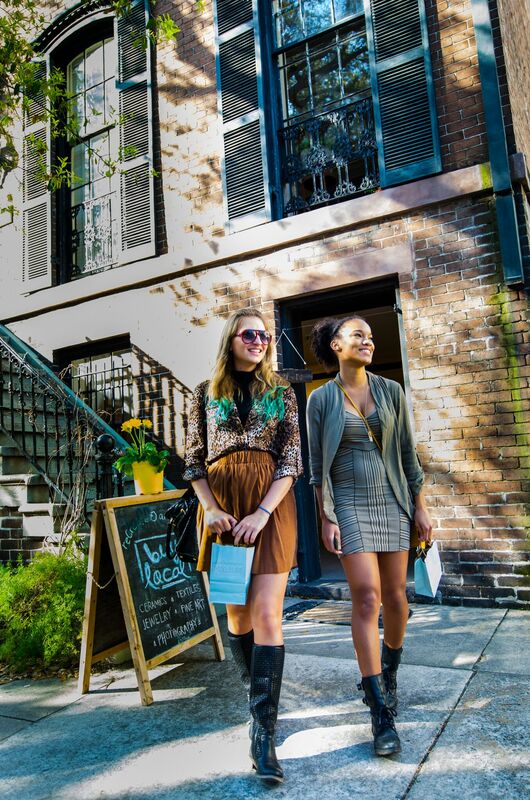 The address is 610 Oglethorpe Ave.
Andaz Savannah is approximately 4 miles away, rates average $169-$249. Two neighborhoods close to the downtown Historic Savannah area offer an alternative for visitors who don’t want to stay downtown in the Historic district. The Victorian District is the neighborhood just south of Savannah’s Historic Downtown neighborhood, and features 30-acre Forsyth Park. Its fountain is one of the most-photographed attractions in the city. The city’s first suburb, the Victorian District’s streets are lined with gingerbread-covered homes and live oaks dripping with Spanish moss. The Starland District, south of the Victorian District is named for the neighborhood’s old Starland Dairy building. It was conceived by two Savannah College of Art and Design grads who leveraged interest and investment to bring new life to a crumbling part of the city. Still an in-progress revitalization project today, it boasts some of the trendiest eateries and businesses. Savannah is the oldest city in Georgia and the county seat of Chatham County. Established in 1733 on the Savannah River, Savannah was the first state capital of Georgia. It is Georgia’s fifth-largest city and third-largest metropolitan area. The Central of Georgia Railway Roundhouse Complex: the oldest standing antebellum rail facility in America). Savannah’s downtown area, which includes the Savannah Historic District, the Savannah Victorian Historic District, and 22 parklike squares, is one of the largest National Historic Landmark Districts in the United States (designated by the U.S. government in 1966). Downtown Savannah largely retains the original town plan prescribed by founder James Oglethorpe. Savannah Book Festival (savannahbookfestival.org): This annual book fair held on Presidents’ Day weekend in the vicinity of historic Telfair and Wright squares, includes free presentations by more than 35 contemporary authors. In addition to the festival, special events with featured writers are offered at nominal cost throughout the year. Savannah Voice Festival (http://savannahvoicefestival.org/): This annual celebration of the classical voice (August 5-27, 2017) includes operas, concerts, and special nights devoted to International, Broadway, and Sacred. This is a festival unique to Savannah. Savannah Jazz Festival (https://savannahjazzfest.com/): September 17-23, 2017. The city is also home to several classical music performing groups, dance (Savannah Ballet Theatre) and theater. Savannah has consistently been named one of “America’s Favorite Cities” by Travel + Leisure. In 2012, the magazine rated Savannah highest in “Quality of Life and Visitor Experience.” Savannah ranked first for “Public Parks and Outdoor Access,” visiting in the fall, and as a romantic escape. Savannah was also named as America’s second-best city for “Cool Buildings and Architecture,” surpassed only by Chicago. Savannah’s historic district has 22 squares (Ellis Square, demolished in 1954, was fully restored in early 2010). The squares vary in size and character, from the formal fountain and monuments of the largest, Johnson, to the playgrounds of the smallest, Crawford. Elbert, Ellis, and Liberty Squares are classified as the three “lost squares,” destroyed in the course of urban development during the 1950s. Elbert and Liberty Squares were paved over to make way for a realignment of U.S. highway 17, while Ellis Square was demolished to build the City Market parking garage. The city restored Ellis Square after razing the City Market parking garage. The newly restored Ellis Square opened in March 2010. Separate efforts are now under way to revive Elbert and Liberty Squares. Savannah’s local baseball team is the Savannah Bananas, a member of the Coastal Plain League. In existence for more than 20 years and consisting of 16 teams, the Coastal Plain League is considered one of the leading prospect leagues for professional players along with the Northwoods League and Cape Cod League. Players can be drafted by professional leagues after their high school graduation. The Bananas play at Daffin Park’s 1926 Grayson Stadium, which has a 4,000-seat capacity. The local public bus system is Chatham Area Transit (CAT). For schedules, fares, and other information, visit www.catchacat.org, or call (912) 233-5767. Press 1 for fixed routes and schedules. CAT’s one-way regular fare is $1.50. One-way for seniors is $0.75 (half-fare). Transfers are free. A day pass is $3.00, a weekly pass is $14, and a monthly pass is $50. A ten ride card is $15. The Airport Express (100X) is $5 one-way or $8 roundtrip. All passes can be purchased on the bus except for the monthly pass. Passengers can also purchase passes at the Intermodal Transit Center located at 610 West Oglethorpe Avenue, Savannah, GA 31401. Savannah Pedicab Bike Taxi Service (http://savannahpedicab.com/savannah-pedicabs/PageId/21/Service-&-Rates.html, or call (912) 232-7900) is a popular option for sightseeing or a quick trip around downtown: for less than 30 minutes or quick trip from point A to point B, they offer a “trips for tips” program, where passengers pay whatever they feel is appropriate. They can also hire the pedicab for 30 minutes for $25 per couple, an hour for $45 per couple, or for the entire day (10:00 a.m. to 5:30 p.m.) for $150. Pedicabs operate from Bay Street (with access to River Street via the elevator) to Park Avenue just south of Forsyth Park and west from MLK Jr. Blvd to East Broad St.. Both Lyft and Uber service Savannah. Visit Savannah (the Convention and Visitors Bureau for Savannah) suggests visiting the www.VisitSavannah.com website. Go to http://www.visitsavannah.com/essential-savannah/things-to-do-in-savannah.aspx. Here, you will find a list of 15 Must-See Sights in Savannah. These include: City Market, the Davenport House Museum, River Street, the Jepson Center Museum of Art, Leopold’s Ice Cream, the Beach Institute, the Ships of the Sea Museum, Paula Deen’s The Lady & Sons Restaurant, the Cathedral of St. John the Baptist, Tricentennial Park, The Savannah Theatre, the birthplace of Juliette Gordon Low, Telfair Academy, Forsyth Park, and The National Museum of the Mighty Eighth Air Force. 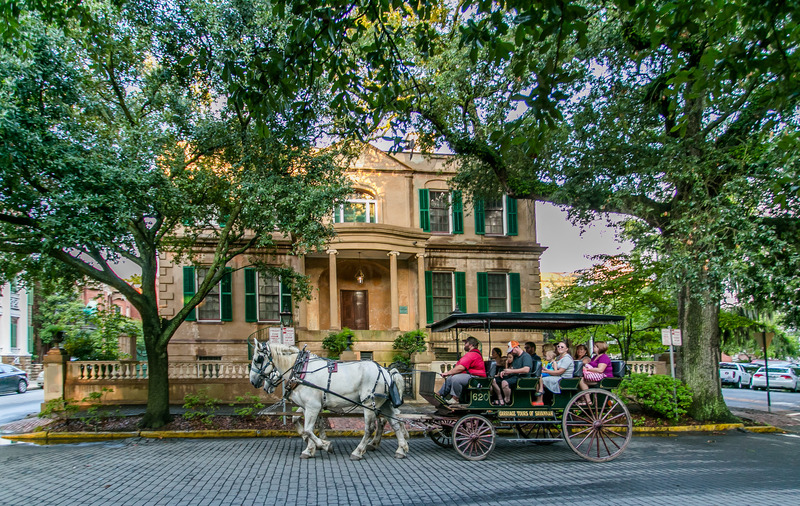 A fun and free way to explore the Historic Savannah downtown district is by taking the free Dot Express Shuttle around downtown, and taking time to get off at different stops and explore the area. The Downtown area, about 2 miles long and 1 mile wide, includes the Historic District (the oldest part of Savannah), as well as the Victorian District and the Starland Design District. In addition to excellent CAT bus service, most of downtown is laid out on a walkable grid. CAT staff members recommend visiting the Georgia State Railroad Museum (formerly known as the Roundhouse Railroad Museum) and the Jepson Center with its three museums. The Georgia State Railroad Museum (http://railga.com/oddend/roundhouse.html), located at 655 Louisville Road is the oldest and largest existing nineteenth-century railroad operations complex in the nation. Construction began in 1850. Thirteen of the original structures remain today. The Central of Georgia Railway handled freight, passengers, maintenance, and manufacturing at this single location. The complex is owned by the City of Savannah and has been operated since 1989 by the Coastal Heritage Society. Five of the buildings house permanent exhibits, including the roundhouse with its operating turntable. Here, you can see steam and diesel locomotives, rail cars, steam-powered machinery, model railroads, and a 126-foot brick smokestack with privies around its base. Across Old Louisville Road from the museum is the former Central of Georgia passenger station (301 M.L. King, Jr. Blvd. ), now the Savannah Visitors Center. Built in 1860, it is one of the oldest railroad stations in Georgia. Inside are exhibits on the history of the city. Under the train shed is Central of Georgia No. 103, a Baldwin steam locomotive built in 1890. Across the parking lot from the passenger station are two more former Central of Georgia buildings. The red brick Romanesque Revival structure at 233 M.L. King, Jr. Blvd., designed by Alfred Eichberg and Calvin Fay and built in 1887, once housed railroad offices and an outbound freight warehouse. Rehabilitated by the Savannah College of Art and Design (SCAD) to house its School of Building Arts, it is now known as Eichberg Hall. Next door at 227 M.L. King is the SCAD Museum of Art. This 1856 Greek Revival building was originally the railroad’s administrative offices. The Jepson Center for the Arts (http://www.telfair.org/visit/jepson/ or call (912) 790-8800) consists of three distinct buildings: The Jepson Center (contemporary art and an educational program), Telfair Academy (two nineteenth-century period rooms and houses nineteenth- and twentieth-century American and European art from the museum’s permanent collection), and the Owens-Thomas House (This historic house museum, boasts a decorative arts collection comprised primarily of Owens family furnishings, along with American and European objects dating from 1750-1830. The site also includes a beautiful English-inspired parterre garden and an original carriage house-which contains one of the earliest intact urban slave quarters in the South.). You can enjoy audio architecture tours of the three buildings (http://www.telfair.org/visit/archtours/) , suggested itineraries (http://www.telfair.org/visit/itineraries/) and purchase a combined ticket for all 3 buildings (presently $20). Enjoy experiencing the rich diversity of Savannah’s Black Heritage. For information about tours and itineraries in Savannah, visit http://www.gpsmycity.com/tours/african-american-heritage-self-guided-tour-of-savannah-3486.html. If you enjoy nature and the outdoors, two places you will want to see are Forsyth Park and Skidaway Island State Park. 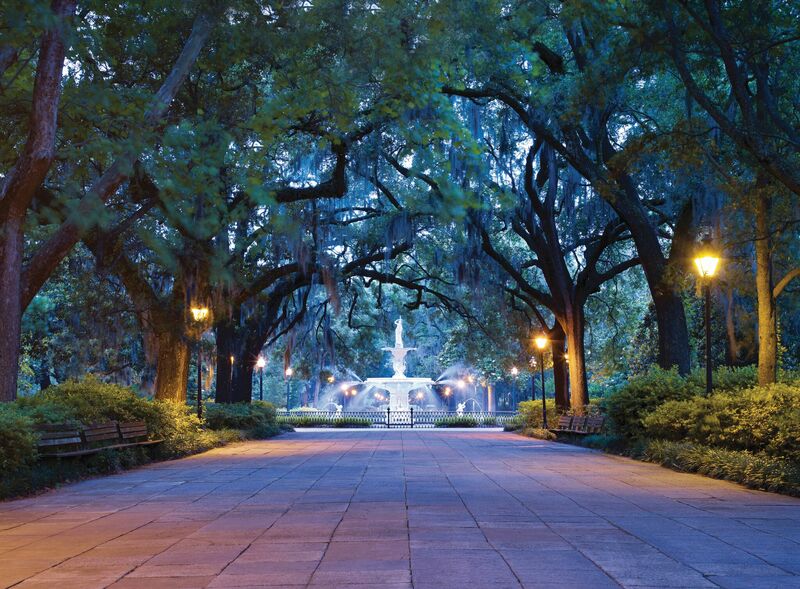 Forsyth Park is a great place for walking, sitting and enjoying the large fountain. To see what visitors think about the park, go to https://www.google.com/webhp?sourceid=chrome-instant&rlz=1C1EODB_enUS594US625&ion=1&espv=2&ie=UTF-8#q=forsyth+park&lrd=0x88fb9e6a92a69d8f:0xdf05eb676fd29fe3,1. Google users rate this park as a 4.7 (out of 5). Trip Advisor also has great praise for this Savannah treasure: (https://www.tripadvisor.com/Attraction_Review-g60814-d259614-Reviews-Forsyth_Park-Savannah_Georgia.html). Skidaway Island State Park: If you are here on a weekday (Monday-Friday), take time to visit Skidaway Island State Park (www.gastateparks.org/SkidawayIsland). The park borders Skidaway narrows, a part of Georgia’s intracoastal waterway. Trails wind through maritime forest and past salt marsh, leading to a boardwalk and observation tower, To get here using CAT buses, take CAT route 31 from the CAT Intermodal Center. At Walmart and Montgomery, transfer to CAT route 20 and take it to the park entrance. Since the 20 only runs 4 times every weekday (twice in the morning and twice in the evening), we recommend taking a morning bus to the park, staying most of the day, and then taking the 20 and 31 back to downtown Savannah. Do you enjoy shopping? Then take time to visit Broughton Street (considered Savannah’s Fifth Avenue). Stroll through City Market where artists and artisans display and sell their work, while frequently enjoying live music in the background. The Downtown Design District’s many eclectic finds are tucked into a cluster of historic homes along Whitaker, Jones and Charlton streets. Check out the unique furnishings, fashions and antiques here. 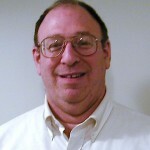 You can find a variety of walking tours at http://savannahchamber.com/for-members/member-directory/40/419. your bike on CAT buses. Consider staying at the Brice Hotel in Historic Savannah. Guests at The Brice can borrow a bike at no charge. For more information, visit http://www.bricehotel.com/. The Grey, The Starland Cafe and Cotton & Rye. For an after dinner treat, visit Leopold’s Ice Cream, Lulu’s Chocolate Bar or The Savannah Candy Kitchen, famous for freshly made pralines. CAT staff members recommend Skylar’s (at the East Bay Inn on Bay Street), and the Mellow Mushroom. Do You Enjoy Theater and the Performing Arts? Savannah is home to one of the country’s oldest continuously operating theaters, the 1818 Savannah Theatre. The Lucas Theatre for the Arts hosts live shows, cabarets and films. The city is also the home of the Savannah Philharmonic, a professional orchestra performing a full range of concerts from classics to pops each September-May season. For more information about entertainment in Savannah, go to http://www.visitsavannah.com/start-exploring/entertainment.aspx. For details about theater, symphonies and other classical music, museums, and other cultural activities, visit http://www.visitsavannah.com/start-exploring/entertainment.aspx. For Information about Where to Stay and What to See: Go to http://www.visitsavannah.com/, or call toll-free (1/877) SAVANNAH.